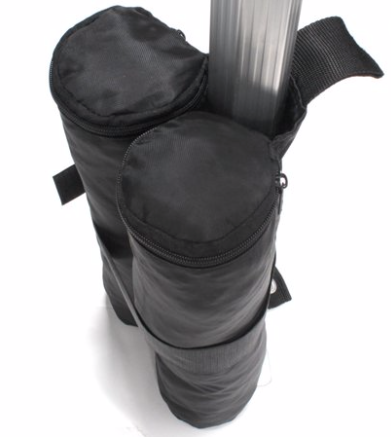 Our Tent Canopy Weight Bags are a great way to anchor down your tent. Simply unzip the top of the bag and fill with sand or gravel for added weight. 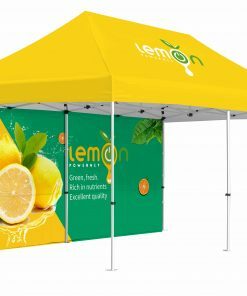 One 4-Pack set will securely anchor down your Instant Canopy and Pop Up shelters for any all day event. Removes the trip hazard of guy ropes. Each bag measures about 4-1/2″ in diameter x 12″ long and when filled with sand weighs about 30 pounds. 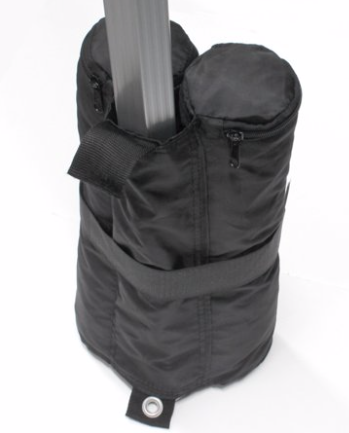 The bags come with a velcro strap to secure it to the frame post.